The running mistress, she found her way (and got it) - AGAIN. See, I already knew that the hubby was going to the frontRunner cloud race thing. I had braced myself to spend half of the super long weekend without him. 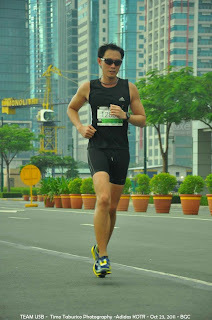 Then miraculously, the hubby got a free race kit for Adidas King of the Road. Oh, you running mistress your ways are cunning, yes they are! At least it wasn't a full marathon (consuelo). And he was gone for less than 4 hours. Okay, like I was awake anyway. But still. When the hubby returned home, I was ready to put on a pout. But then he had my favorite meal from Tapa King for breakfast. Oh he knows me so well. I can't help but love him and his blistered feet. *Race Results from the Organizers still not available, but you could check for updates HERE. 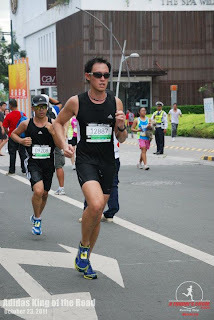 Photos from A Runner's Circle and Team USB. Running is a mean mistress to contend with. She will not let go easily. Even if you're less than 3 months due to bringing a child into the world. Your husband will go with her. Early in the morning. Or maybe for an entire day. Sometimes even overseas. Yep, that's what my husband did. As I was happily enjoying the balance of my second trimester and up until now that we're nearing the finish line. There was the 2nd PAU Mt. Pinatubo Ultramarathon (50k). Yep, up and down a mountain it was. And it was trail. 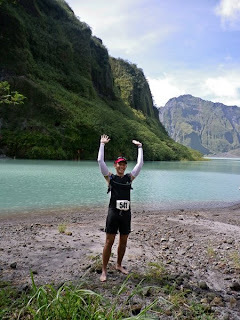 Thru rivers and lahar. See, normal people would rent a 4x4 to save hours of sludging. But these weren't normal people. 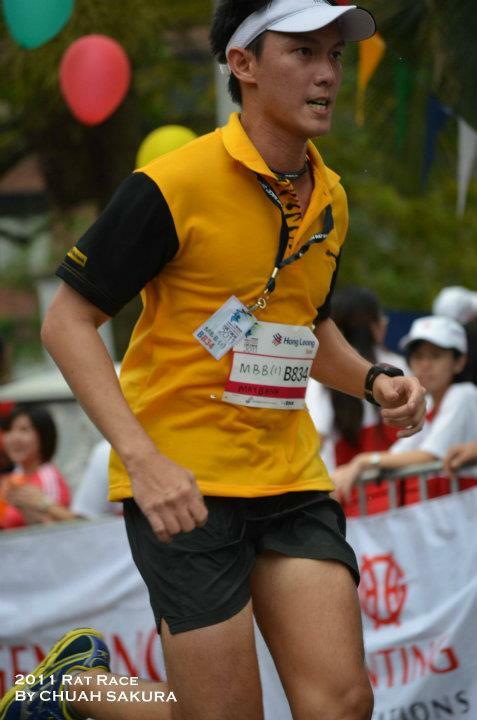 Then there was the Bursa Malaysia Rat Race (4.5k). Uh-huh. Muh-lay-sia. The hubby was gone for around 4 days to fulfill his duties as a Maybanker. Their CEO and some foreign colleagues apparently refer to him as "the crazy one" and they probably said, "Hey, let's get that crazy one from the Philippines to join the Rat Race team." The crazy one said OK. The race was a pressure test. So much expectations. So little km's to prove it - 4.5k as compared to the long distances he so loves. I stayed at my parent's home for the time being. Sick with the flu and floating in a queen-sized bed. He did get me a nice gray hoodie from Uniqlo. Yay me. Photos by Michelle Looi and Chuah Sakura. 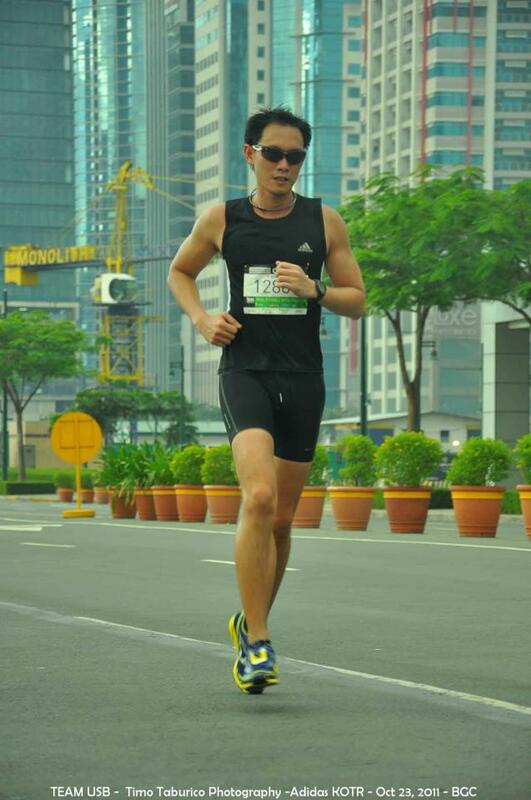 And then there's the Manila International Marathon (which was supposed to be last July or something). He didn't race it. 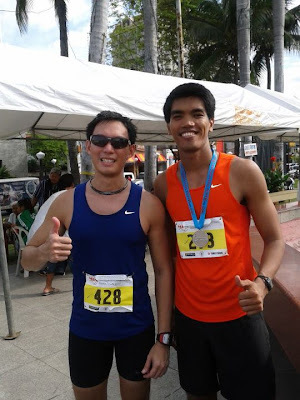 Just wanted to do his ultrarunning pace and finish. 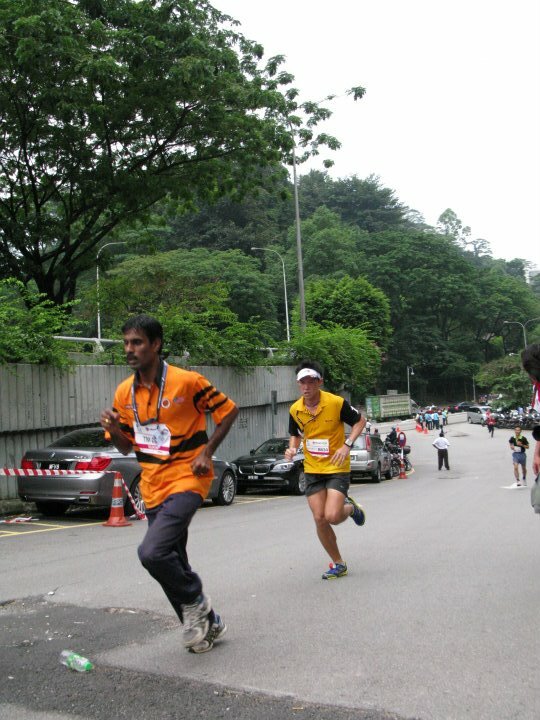 From this race he's gone over his goal of reaching his 1,000th km in running races. Which was apparently a goal for this year. 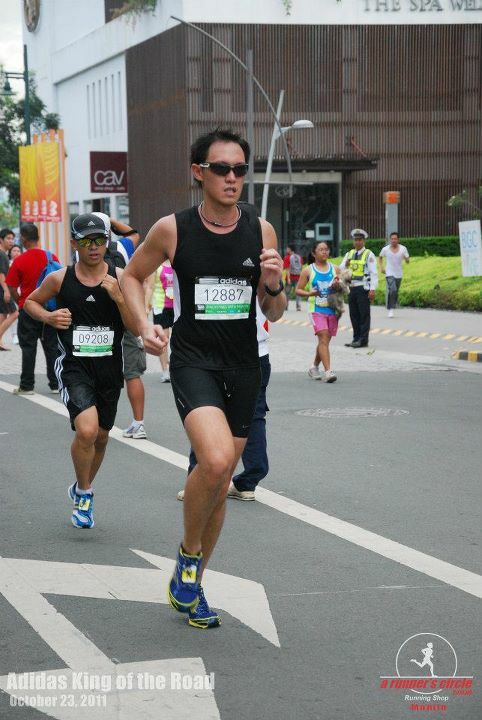 I actually miss being at the finish line. I'm such a fan girl (read: future stage mother). So YAY. We thought it was over. That's what you think! The mistress, she laughs. Because here comes the frontRunner Magazine's Rock and Road Series 1: Run to the Clouds 50k. With a title like that, I doubt that the hubby had strength to resist. Benguet. Mountains. 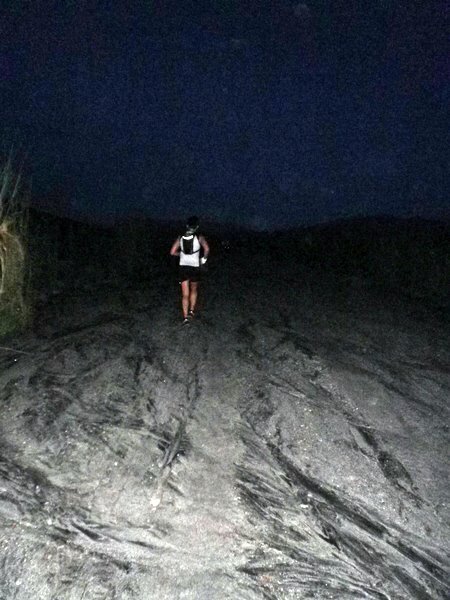 Ultramarathon. Road and dirt road. Oh the wonderful words to invite the crazy people! It's going to be on October 30. He says it's going to be the last race for the year. Let's see, Hero, let's see. I'm sure you'd like to be taken up the mountains too.